So, you have been searching online about opportunities to make money working from your laptop. You came across the words “Affiliate Marketing” and you discovered it’s a great way to earn money online and work from anywhere, especially if you have an affinity for writing like I do. 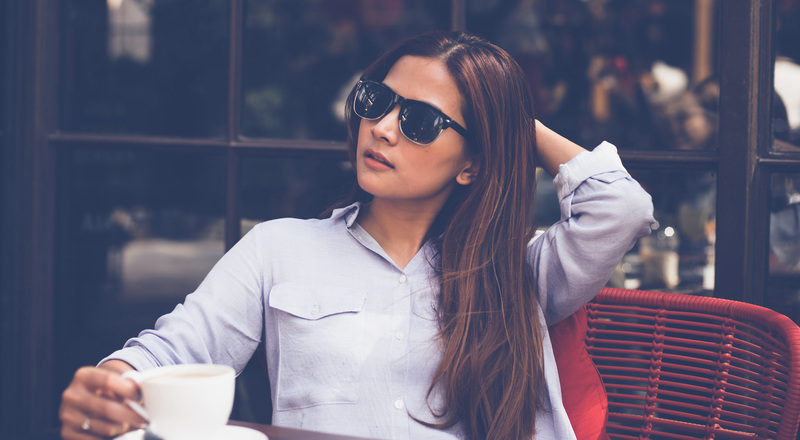 Maybe you already have a blog that you could use to promote some of your favorite products, or you always wanted to start a website where you can share your passion with the world and make some decent money along the way. Look no further, you have found the best Affiliate Marketing platform! In this post I want to highlight the points that make Wealthy Affiliate the best Affiliate Marketing online university. A testament to the success of Wealthy Affiliate is the fact they recently celebrated their 12th birthday (September 2017). The owners have been around for 12 years, constantly improving their services and the user experience on their platform. And producing many successful Online Marketers during these years, people that are still around making a full-time online income and helping the new members succeed too. Before we proceed with the review, lets have a general overview of this platform. In the past, I have tried some programs promising to teach me how to make money from a website. Being an absolute beginner, at times I was just confused and I wanted to contact the owners and ask them about problems. But either I couldn’t identify the actual owner or I would send them an email that would get lost in the cyber abyss, never to be answered. That’s not the case with Wealthy Affiliate! From the moment you join in, even as a free member, Kyle and Carson welcome you and they make themselves available every single day. They are real people, leading successful and busy lives but still finding the time to be engaged in the platform, respond to the members’ feedback and requests, answer questions and constantly update the training in order to remain relevant to an ever-changing industry in the online world. Online Entrepreneur Certification courses, where you learn how to build a WordPress website from scratch and the steps to monetize it. These lessons include videos by Kyle, explaining every step of the process, and tasks you can complete to make sure you’re on track. Blog posts with step by step training created by expert members on every topic an Affiliate Marketer will encounter. You can engage the authors for clarification and post questions in the comments below each training. Weekly webinars addressing all the issues, innovations and updates in the industry. Live Chat 24/7 where you can get quick answers to your questions and get unstuck. An Affiliate Bootcamp comprehensive training, teaching you how to participate in the generous Wealthy Affiliate affiliate program, where you promote Wealthy Affiliate itself. Wealthy Affiliate is NOT a get-rich-quick scheme. It is a legitimate online university, focusing on equipping its members with all the training and tools they need to build a successful online business, IF they are willing to do the hard work and focus on sustainable, long-term success and financial freedom! The first step in building a website is choosing a niche – a topic you are knowledgeable and passionate about and which you want to share with other people. Your website will focus on providing your target audience with useful information and solutions to their problems. Finally, when you have gained their trust and developed an engaging audience, the Affiliate Marketing fun begins! You make suggestions for products you use and love or for ebooks or anything you want to promote and you earn a commission for your audience’s purchases. Using SiteRubix, you can build a beautiful WordPress website with SiteBuilder in 5 minutes, taking full advantage of the variety of WordPress themes and plugins. You can manage your domains with SiteManager (all your sites conveniently in one place). You can buy and register domain names with SiteDomains. You can use SiteComments and SiteFeedback from other members to gain traffic that helps you rank in Search Engines quicker, and to gather valuable feedback on how your website can be improved. But how do you gain the trust of your audience? Your first concern should be writing, writing, writing! Keep producing quality content, answering people’s questions, getting insights about topics that interest them and problems you can address within your niche. The SiteContent feature helps you set writing goals and “article publishing” goals to hold yourself accountable for your progress. It’s a powerful tool, which can lead to your audience converting to customers. Especially when you combine your publishing frequency with using the powerful Keyword Tool (included for free in your Premium membership) – an amazing resource extremely valuable for your SEO game. Have you ever signed up for a program where you take a dip for a few dollars initially, thinking that what you see is what you’ll pay, but then discover that you have to keep paying. Or maybe you get stuck and you’re unable to progress unless you succumb to your pushy “mentor” to pay heaps of money to “unlock the next steps”. The worst thing? Maybe you have provided the sketchy program with your credit/debit card information, believing it’s only needed for you to join once. But down there, in very small letters, it says that your card will be billed X amount of money every month. It’s a paid membership after all, and now you’re stuck with this monthly fee, and there’s no reply to your emails asking for cancellation, and you desperately cancel your card instead after informing your bank. Fortunately for me and you, nothing like that in Wealthy Affiliate! You create your account without anybody asking you for your credit card number. This is a huge relief in itself! Click here to start with your FREE membership – see for yourself! It’s made clear from the very beginning that you can continue with your Free membership if you want to. The lay-out of your experience is out there in the open from the start – you have the first 7 days for free where you can access all the training and features and make an informed decision about joining the program or not! You even get a discounted first month as a Premium member if you enroll during these 7 first days. And after that, you keep paying the monthly fee of 49 dollars which includes hosting for 25 free SiteRubix websites PLUS 25 websites you own (after buying the domains). Or you can save up some money and go Yearly where you pay 359 dollars for the whole year. Really, for what the platform offers, it’s a steal. And these prices have not increased since the year Wealthy Affiliate was conceived. Many people who are just starting out, don’t have the resources to spend on every shining new opportunity that promises to make them money. As a Free member, you set up your account and you can watch the first cycle of lessons in the training. Following the tasks in the initial Courses step by step, you can create up to two free websites hosted in the SiteRubix platform. You can stay a free member for as long as you like, and yes it’s possible to join Affiliate programs like Amazon and make money with your free websites. Warning! 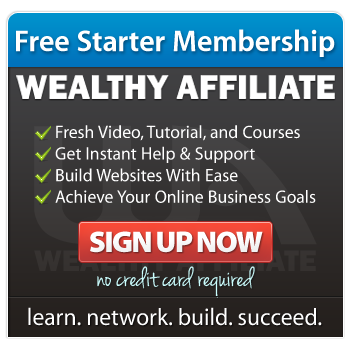 Wealthy Affiliate is addictive and you’ll find yourself itching to explore everything the platform has to offer and take advantage of the most helpful online community! In Wealthy Affiliate, you have access to SiteSupport 24/7. Whatever technical problem you encounter with your hosted websites, or the domains you bought, or your membership or even things like transferring a website from another hosting platform, the dedicated Support team is here for you. And their response is really quick! Also, there is an Ambassadorship program in place – members are ranked depending on their activities inside Wealthy Affiliate. The blog posts and training they produce to help other people, the questions they ask or answer, their participation in the Live Chat, their engagement in the Training discussions and the work they do on their websites. The 25 top ranking members gain Ambassador status. This is another initiative that acts as a motivating factor for many people and keeps them engaged with the platform and striving daily to improve themselves. Ambassadors are another spectrum of support that new members can “take advantage” of. One of the best features that distinguishes Wealthy Affiliate from all the other online Universities out there, is its great community. From the moment you sign up, you have many members welcoming you and answering every single question you might have, no matter how trivial! As the days pass, you get immersed in a warm and helpful environment where people genuinely want to help each other on their path to success. This is a Pay-it-forward community, where you can rest assured that you won’t be left alone in the dark during your endeavors. You can renew your efforts and gain new inspiration every time you feel discouraged, by reaching out to other members who’ve been where you’ve been and by reading all the Success Stories. From popping into the Live Chat to have a much-needed break or a quick answer to a question, to sending private messages to members who have become your friends, to offering feedback and support on each other’s websites; this is a truly rewarding community to be a part of! If you have any questions, drop me a comment below and I will be more than happy to answer and have you join me in this journey to a successful path that leads to location independence! Fantastic article! Affiliate marketing is such a great way of making a living from something you’re truly passionate about – and best of all you can do it from your laptop whilst you’re on the go! You’ve pointed out some great features of the WA platform. I’m just interested – do you think there are some other great ways of doing affiliate marketing as well as blogging? I’ve been thinking about doing YouTube videos/reviews too. Hi Joshua, thanks for your comment. That’s what drew me into affiliate marketing, the ability to work from my laptop from anywhere, since I’m addicted to traveling and changing locations! Good luck with starting your YouTube channel, I’ll definitely go for it when I’m confident enough on my video-making skills! Thank you for your awesome review on Wealthy Affiliate. I too am a member of Wealthy Affiliate and I agree with everything you have said. The community is definitely what sets it apart. It’s Nationwide so there is always someone on and willing to help. 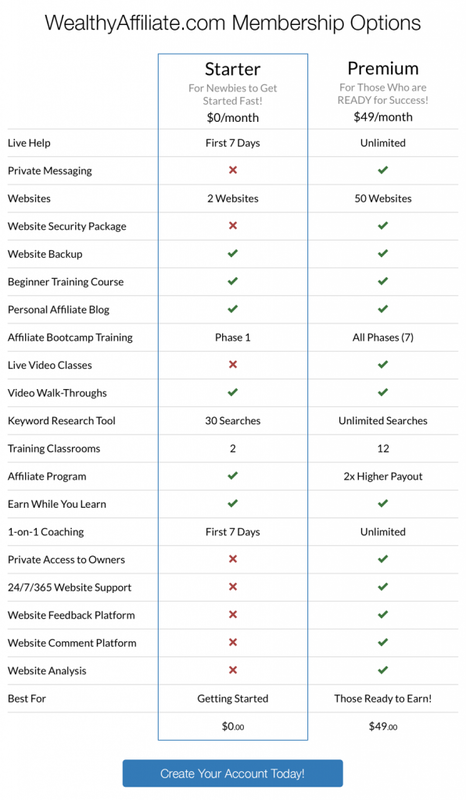 Most platforms make you pay more as you progress though the training or only focus on showing you how to promote their program but at Wealthy Affiliate it’s one price for all the training you need and you promote whatever you want. No pressure, they make it very clear that it is not a get rich quick thing. Extremely happy with Wealthy Affiliate. Awesome information. Thanks! Hi James, thanks for your comment. I remember when I visited Wealthy Affiliate’s landing page for the first time. No warning bells ringing, contrary to those pages where you land and there’s a video playing that you can’t even fast forward. Or those websites where you see “get in today for just 1 dollar” and then you see the small letters and you realize your credit card info that you provided will keep getting charged monthly. 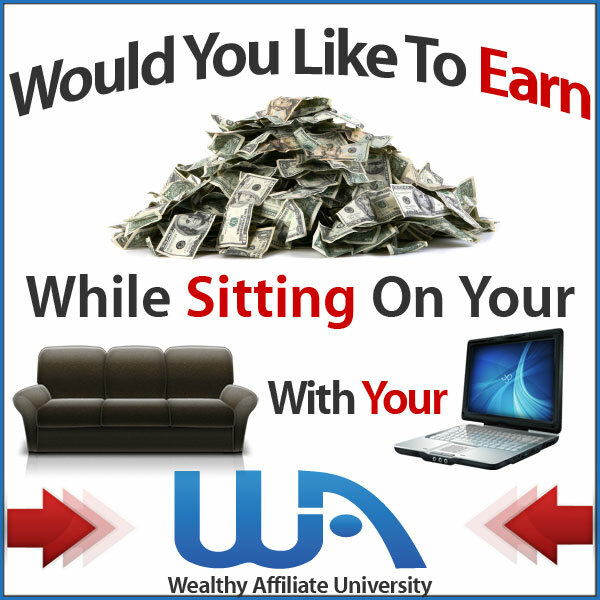 Nothing like that with Wealthy Affiliate. I loved this platform’s transparency, there is no pressure for anything, and you know that the website you’re building on the niche that you choose will be your own. I’m extremely happy with Wealthy Affiliate too!